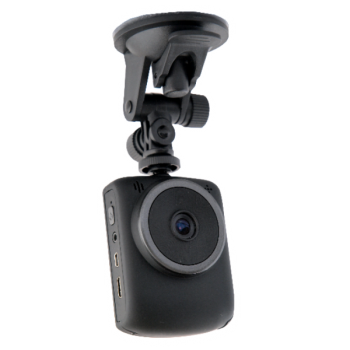 The Digitechi Car HD Video recorder is designed to meet all your needs while driving! The Motion Detection Function helps you to know the situation behind or in front of the car during driving or while it has been Parked. Especially suitable for people who work in the field of police officers, journalists, detectives, lawyers, Taxi, etc. The Car Recorder can be mounted on the windshield, so you are free to record the beautiful scenes on the road. You can watch the HD video directly on its 2.5" TFT screen or connect it to your TV for a larger view. 120° Wide-angle lens to make sure 1280x720P (HD) + 30fps high definition display. Support high capacity TF card, 32GB Max. when the car stops, which is convenient and efficient. Full auto overlap function. When TF card is completed, the new video will overlap the old one. Seamless shooting, make sure the data integrity. 850mA detachable lithium battery, can last 3-4 hours continuously, make your mobile life more wonderful. A TV/HDMI interface can directly connected to high definition television. Dedicated car support with multi-function.